Apple provides us with a great note-taking app on iPhones straight out of the box. With Notes, you can create notes rich with text, tables, images, files, checklists, sketches and more! Let's see how to recover deleted notes on iPhone if they were removed in the last 30 days. First, check whether they are still available on your device. 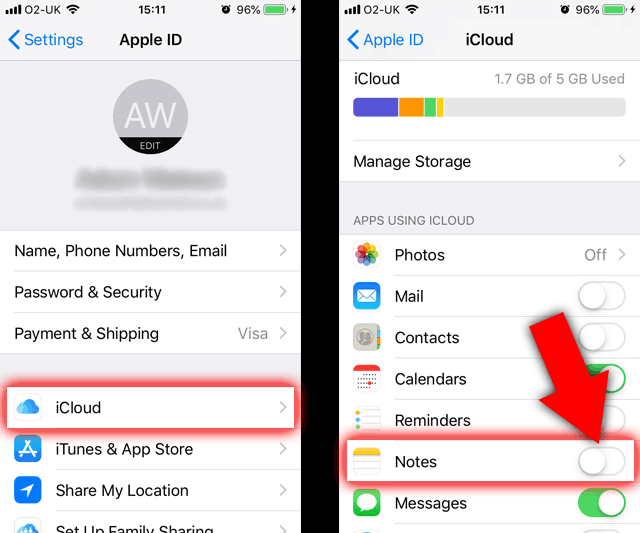 Apple have built in a contingency for you in case you make a mistake when deleting notes - your iPhone will store your deleted notes for a small period of time in Recently Deleted. "Notes are available here for 30 days. After that time, notes will be permanently deleted. This may take up to 40 days" - Apple iPhone. Great! 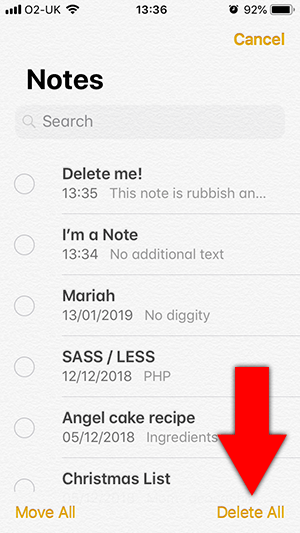 To access Recently Deleted notes, open your Notes app, and tap "Recently Deleted" from your list of folders. See a note you wish to recover? Tap Edit > select the notes you want to recover > Tap "Move To..." > Select a folder to restore the notes to. 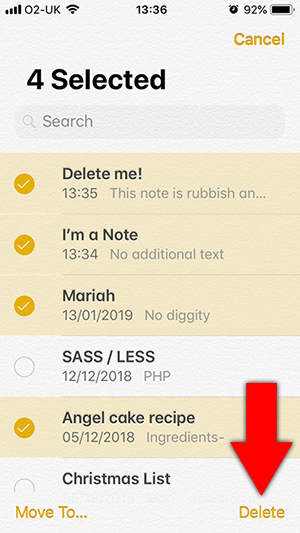 Phew, your notes are now safe in an active Notes folder! If you've not been able to use the method above to recover notes from the Recently Deleted folder, we'll need to go a little deeper into the rabbit hole. Luckily, we can call on backups of your iPhone. 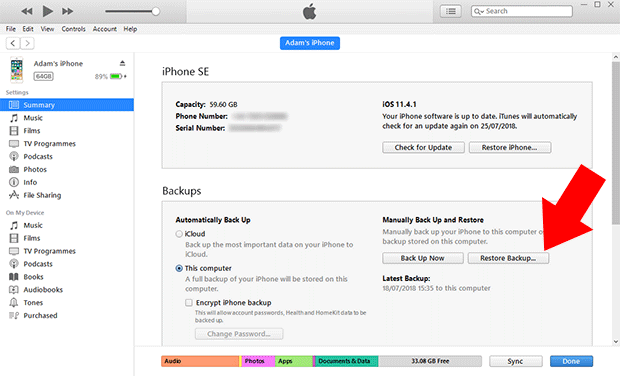 Backups of your iPhone will contain a snapshot of the data which was available on your device at the time is was backed up. As such, there's a good chance that your missing notes are contained in a backup - let's go save them! 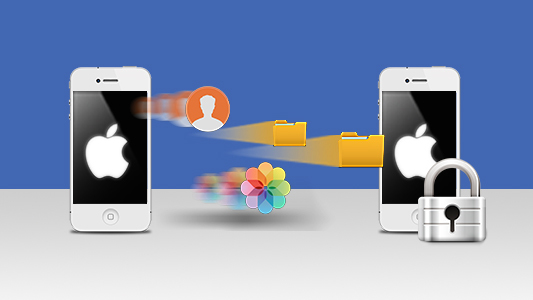 Since restoring a backup to your iPhone will overwrite your current data on it (which is far from ideal), we'll be using iBackup Extractor in this method to access and extract only your notes from a backup. iBackup Extractor can access the otherwise inaccessible iTunes backups on your computer. You can then explore your backups to see what is saved in them and extract any data you need from them and save it to your computer. Download and install iBackup Extractor on your PC or Mac. Select the backup you wish to explore. Choose the Notes you wish to extract. Download the free demonstration version of iBackup Extractor today, to extract 20 items without any signups. 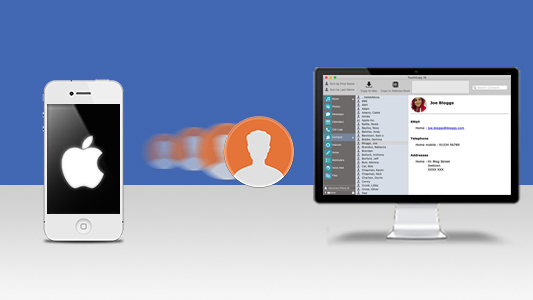 Full version works with an unlimited number of iOS devices and backups. 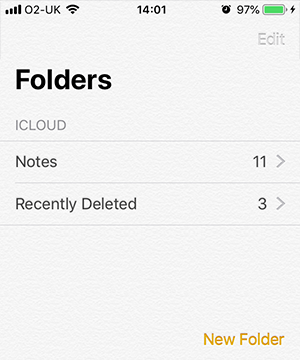 If you have used iCloud previously, your Notes may be stored in iCloud. This makes sharing Notes between your devices really convenient. Tap your User Entry (your name). Enable Notes (switch the toggle to the right so that it's green). Your iPhone will then download your Notes from your iCloud account! If all else fails, you may want to restore a full backup to your iPhone. Unless you are switching all your data from an old iPhone to a new iPhone, I would not recommend this method, as it will overwrite the data currently on your iPhone with the data in the backup. In the summary tab, click "Restore Backup". The Swipe - Open the Notes app on your iPhone > Swipe a Note entry to the left > Tap the Trash icon. 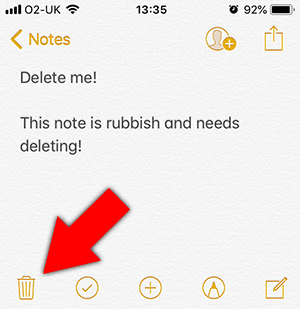 View and Delete - Open the Notes app on your iPhone > Tap a note to view it > Don't like it? Tap the trash icon in the bottom-left corner. 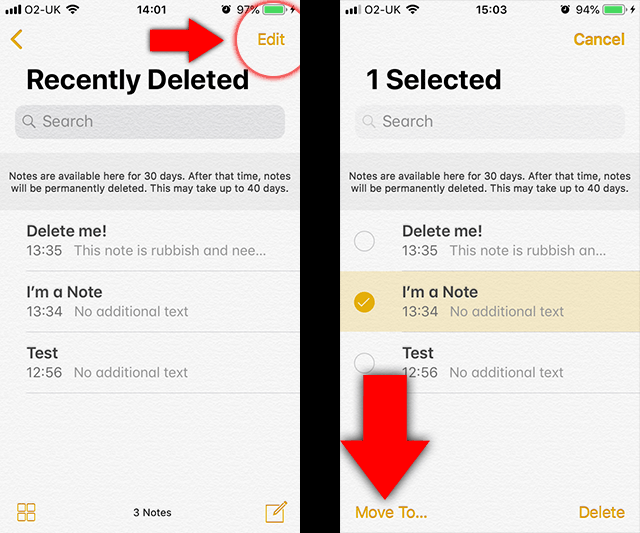 Deleting multiple notes - Open the Notes app on your iPhone > Tap Edit > Tap multiple notes to select them > Tap Delete to remove all selected notes. Tap Delete All to remove all your notes at once. Next Step: Why not download the iBackup Extractor free demo and try it for yourself today? 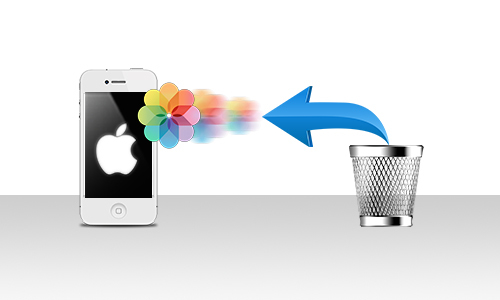 Recover Photos, Messages, Contacts, Notes and more with iBackup Extractor.